Boy, am I excited to get into this week’s ratings! It was an off week for some, such as My Strange Hero, but it was pretty darn great for the new sageuk The Crowned Clown. The other new show in this time slot was the second season of Neighborhood Lawyer Jo Deul-ho, which had a decent premiere as well. Over on Wednesday and Thursday, An Empress’s Dignity and Boyfriend continue to gradually lose viewers. They’re still performing very well, but it looks like some of their viewers might’ve decided to check out the last premiere this week, What’s Wrong Mr. Poong-sang. Bow down to our new king JTBC. I never thought a network would overtake tvN in ratings but SKY Castle are kings and queens. it's been discuss last year that JTBC start to soaring up in terms of viewer. The interesting part is that cable TV can get more attention compare to national TV. It's hard for regular series (except the Makjang in weekend) to pass 20% nowadays. I'm curious about that, when many actress or actor start to get fame from cable TV. I'm waiting for Kim So Hyun or Joowon to return, both of them known to be the kings of ratings. When it comes to TV production, I still favor tvN over jtbc because the former more diverse productions. Their dramas cater to various groups. I think jtbc's dramas caters to women mostly, and sometimes I need more actions and sci-fi, and thrillers. Even with that jtbc has always been a great channel. Four of my favorite dramas came from there: PadamPadam, Secret Love Affair and two seasons of Age of Youth. I am happy for their success. I look forward to their future productions. Sketch, The Awl, Heartless City, are some of the thriller/action dramas from jTBC, fyi. Under-rated medical thriller END OF THE WORLD was amazing. It's not my fave genre but I was glued to it. End of The World is epicly good but so under the radar that few have even heard about it, let alone watched it. That was nonetheless in the era when romance was the main game. It could have been a different story if shown now when international viewers have more diverse taste and appetite. As a jTBC fangirl since launched, I am over the moon at their success. Most of my fave dramas are from this network and as long as they treat their people well I'll continue to support them. 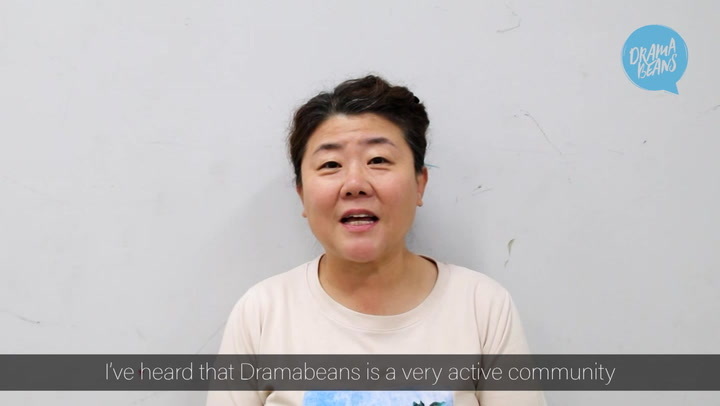 Dramahouse is among my fave production and PD Ahn working behind the scenes makes me even happier. I guess the subscription gap is on the same level now or have been for a while between jTBC and tvN. It's fair to access the ratings equally. I'm not comparing cable ratings to the free public channels. It doesn't make sense. Sprinted from 1.7 in Ep 1 to 19.2 in Ep 16, crazy. I always liked JTBC's shows more and always compared it with TVN. JTBC broadcasts good media and reaping the benefits now. TVN went mainstream and lost good share of its audience to JTBC. Still, 16% rating for a show is awesome but more due to the show. I don't think JTBC can consecutively maintain 8+ % rating with its shows. I have mentioned before that JTBC has the softest image among all media companies in South Korea. They excel in almost everything they do because they trust their programs to do well. Also, they don't spend that much on drama promotion - They let viewers promote it. That also shows that they don't treat viewers like minions of starts who are able to sell products with their CFs. A lot of Korean audience as well are kinda disappointed with tvN nowadays because they are trying hard to be like public networks in terms of drama production that they are losing their touch. Damn, Sky Castle sure is killing it. I dropped it somewhere around ep. 4, just because I wasn't in the mood for such a show, but maybe I'll pick it up again in the near future. I'm kind of sad that Boyfriend is loosing viewers (even though the ratings aren't bad). I've seen a lot of criticism about the show: from there being no chemistry between the leads, it being boring, the "immaturity" of PBG's character, etc... but I don't really see that. Of course, everyone is entitled to their own opinion, and this show might not be everyone's cup of tea... but for me, this is kind of what I had been asking of Dramaland for a long time. And even I am surprised to find it in this show (although pleasantly so), because I was one of those people who were initially on the fence about this. Now, I'm not saying I have no quibbles with this show. Being the unromantic person that I am, I have to admit some of Jin-hyuk's lines are WAY too corny for me, and sometimes they amp PBG's charms a liiiittle too much. But these are minor things and they don't take away my enjoyment. I like Boyfriend/Encounter, because it's a slow-burn romance, a romance that's not a rom-com but also not too melo, steadily paced and telling it's story with confidence and grace, gentle and nuanced. If Lee Hyuk has more sweet moments with Sunny, ratings are bound to go up. That's my wish, anyway. I concur. Hyuk is the reason i'm watching. Sweet Sunny-Hyuk moments would be awesome..for both me and hopefully the ratings too. Heh. I bet the last episode will top 30%. 20% in a cable channel its like a 60% in a public channel. I think that was true around 2011-2012, during the Reply 1997 days and when cable channels like JTBC were first established. But that hasn’t been true for the last couple of years when TvN has entered the prime time drama market full force (esp Wed-Thur and Sat-Sun), with $$$$ productions and major stars. In 2018, the top 10 rated shows across all platforms were mostly from TvN and SBS. These days, most Koreans have cable. While it’s still more difficult for most cable shows to attain terrestrial TV-level ratings, especially for non-TvN shows, the ratings ratio comparison to terrestrial TV is no longer 2x or 3x. Maybe 1.5x, if I have to venture a guess. Cable ratings will continue to excel in a fast pace with the rise of JTBC (and OCN). Thats an exaggeration. I saw a chart compiled by K-fans comparing the number of households for public and cable channels, and the difference between the Big 3 and tvN was only 1.8% (and I think even lesser now). I'm just happy that crowned clown is off to a good start and do is neighborhood lawyer jo deul ho. tho I will be sticking with Yjg's drama since I'm a huge fan of the original movie, and I'm enjoying every thing crowned clown has shown this past two episodes. I am also please at the ratings for the first 2 episodes of THE CROWNED CLOWN. Also, the early returns in DB What we’re watching show that a lot of beanies are enjoying it. Perhaps TCC will be the Sageuk introduction for a lot of kdrama viewers. Go Sky Castle! Breaking cable records with four episodes to go! It seems like Boyfriend and Memories of the Alhambra switched positions though both continue to do well. I'm happy to see that What’s Wrong Mr. Poong-sang had decent premiere numbers given the competition and that Children of Nobody is hanging in there (though of course, I wish the ratings were higher). Sky Castle sounds so good. Where are y’all watching it in the US? Word on the street is that Viki managed to get a license for SKY Castle, but the episodes won't be available until the show finishes. If you wait a few weeks you should be able to watch it legally there. I'm happy with the pretty strong ratings Crowned Clown has started off with. I hope the numbers climb over time! Glad What’s Wrong Mr. Poong-sang's rating isn't that bad. Yay for SKY Castle's Kings and Queens and Princes and Princesses. I feel happy for them! Yay for Liver or Die for the ok-ish premier ratings. I have a feeling it will increase. The story has heart. And i want to smack those unruly siblings and also his atrocious mum for making Poongsang's life harder than it already is. DB made a BIG mistake by not recapping SKY Castle, guess they prioritize actors over story. I've got to agree. I've been following DB for ages now, since the days it was just Javabeans recapping in her signature hilarious analytical fast-as-lightning recapping style. I have no right to complain about anything at all, since all recaps and content have always been provided free. However, I can't help but sadly realise that of recent years, last year in particular, the content, frequency and timeliness of recaps on DB have dropped. It used to be a place where the moment a show airs, we would be instantly discussing plot theories alongside JB and GF just hours after a show has aired. Now it's usually delayed so that it makes any discussion pointless; and sometimes there is just no avenue at all to discuss the really good quality shows. Anyhow, I'm thankful for a good run. I guess it's also a sign that I have to grow up and face the realities of the world like JB and GF have and to leave the world of kdrama to the instances of spare time. The 2 highest rating dramas, Sky Castle and An Empress’ Dignity, are not recapped. It’s quite disappointing.